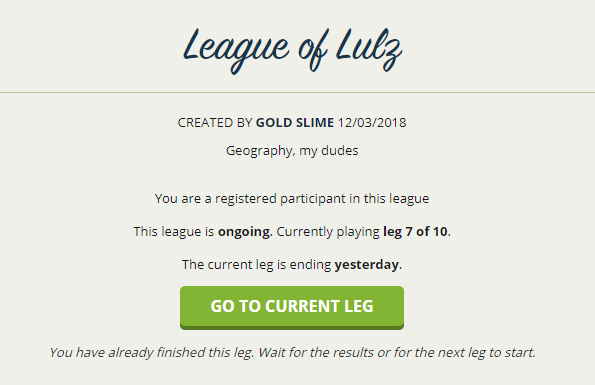 There is a screenshot from league I participate in and wait for next leg... Can anybody say, when current leg will end? This problem happens again because some leagues finished a round while the website was down. You need to add a safecheck and not only rely on the timestamps. It shouldn't be too hard. What do you mean by safechecks? are leagues this happens to recoverable?